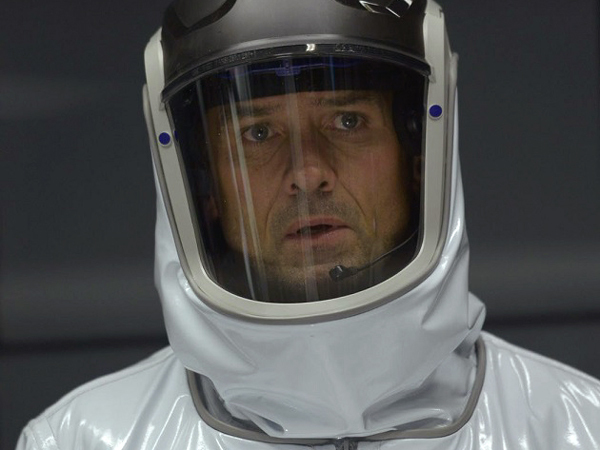 Browse: Home / 2013 / December / Syfy’s Helix: Here Are The First Five Episode Titles! Syfy’s Helix: Here Are The First Five Episode Titles! We’re eager to see Syfy’s new drama series Helix, created by Cameron Porsandeh and executive produced by Ronald D. Moore. The show is getting very good early reviews, and today we have the first five episode titles courtesy of Syfy Channel. Billy Campbell stars in the new series as Dr. Alan Farragut, leader of a special field team sent by the Centers for Disease Control to a remote Arctic research facility, where they investigate a potential disease outbreak that has the potential to change all life on earth. The show starts Friday, January 10 with a special double episode: “Pilot” and “Vector.” It’s on the schedule from 10/9c to 11:30 p.m., which — curiously — implies that it may be aired with few or no commercial breaks. The two episodes will be repeated several times in the following days. The first season will be comprised of a total of 13 episodes. Keep up with all this and more in our growing Helix series guide! And watch the extended trailer again below.